Visit Undermountain and Embark on Epic Adventures in Dungeons & Dragons Waterdeep: Dungeon of the Mad Mage Adventure System Board Game —Coming Soon! Hillside, NJ – February 11, 2019 – WizKids is thrilled to announce Dungeons & Dragons Waterdeep: Dungeon of the Mad Mage Adventure System Board Game, the newest addition to its Dungeons & Dragons Adventure System series of board games, is coming soon! This exciting release, inspired by the newly-released Dungeons & Dragons campaign of the same name, sees players journeying through the Yawning Portal to Undermountain to take on the creatures and quests that lie within. The game is campaign-based, with a variety of adventures to experience, but any adventure can also be played on its own as a one-shot. Each player will choose one of 5 different heroes as they take on these exciting, often difficult, but ultimately rewarding ventures. As always, Waterdeep: Dungeon of the Mad Mage Adventure System Board Gamecan be combined with the previous games in the Dungeons & Dragons Adventure System series to create unique, one-of-a-kind adventures that will bring heroes back again and again. 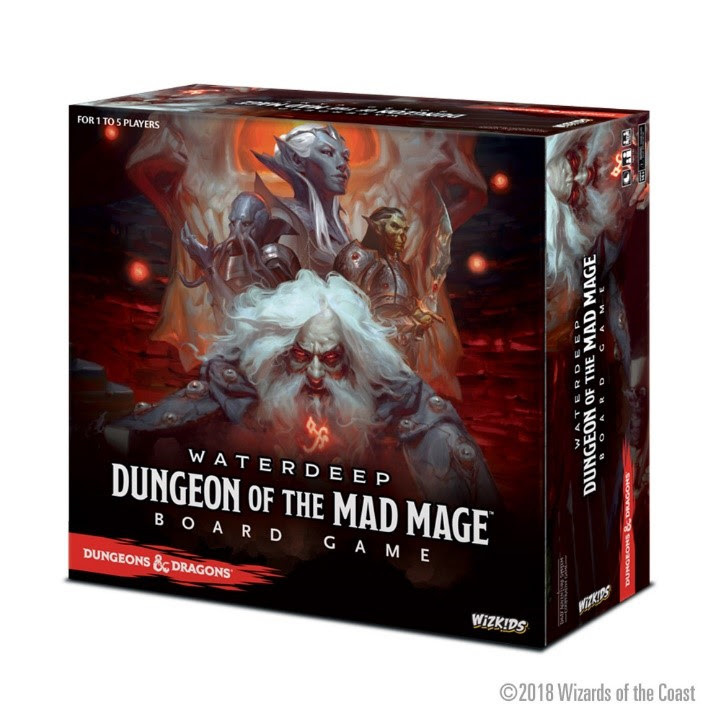 Additionally, Waterdeep: Dungeon of the Mad Mage Adventure System Board Game adds a variety of new and exciting features to make players’ adventures more epic than ever before! Players can now reach level 4 with their characters, allowing them to grow stronger and gain even more powers. Bane/Boon cards have also been added, which, when drawn, will have a positive or negative effect. We’ve also added even more Environment cards, allowing for greater immersion in the ever-evolving dungeon of Undermountain. Preorder Dungeons & Dragons Waterdeep: Dungeon of the Mad Mage Adventure System Board Game at your Friendly Local Game Store or online today! Fans of Power Christmas Special 2016 - James Eatock!